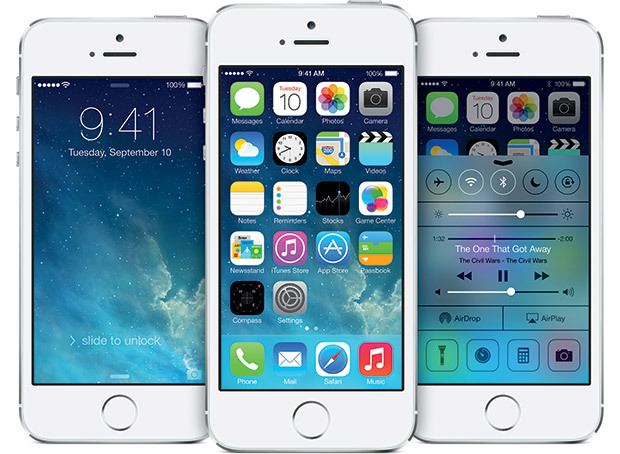 A free guide to the best apps for the new iPhone iOS 7. For those lucky owners who have withstood the wait and hassle of getting their hands on the new iPhone 5c or 5s which comes with the majorly upgraded seventh version of the iPhone interface platform, there are several juicy applications that will make it all worth it. Everyone knows that no iPhone is complete without those few brilliant apps that you just can’t live without after you use them once. And since the facelift for iOS 7 has brought us a sleeker, more circular, flattened background to work from, a nifty new A7 chip processor to make everything twice as fast, and a 64-bit platform to run apps on, the pleasure of using just about any app has increased exponentially. You can even do a search of your own for those apps that will best take advantage of the splendor of iOS 7 by visiting the section of the Apple app store that is specifically designed for the new OS. Some of the apps, both new and remade, you will find in there include old staples like Facebook, Twitter, and Evernote – an information remembering service, as well as newer faces like OmniFocus 2 and AroundMe. OmniFocus 2, available for £13.99, takes organizing your life with calendars, events, and to-do lists seriously. A fresh white background along with brightly color-coded text for various events compares so closely with the built-in calendar app that it camouflages smoothly into iOS 7 without a second thought. AroundMe uses circular colorful icons to divide stores, restaurants, and venues into easy-to-locate local options that you can find fast, easily locate, and map your way towards. The app is free and will guide you smoothly to parking, restrooms, hospitals, banks and hotels within a certain distance of your current GPS location. Evernote has two tiers of users – free and premium, who pay a monthly £3.99 fee – and divides its portrait screen into shortcuts, notebooks, and notes to make finding your archived information simple and sweet. Users can add a new note with only one finger swipe, and premium subscribers can even edit images and PDFs right from their iPhones. According to the BBC, Post-It Notes and Evernote have formed an alliance involving 3M selling Evernote-branded Post-Its offering a free 3-month subscription and making the handwritten notes searchable and shareable once they’re on your smartphone. The dream of a virtual second memory has at last come true. Using Amazon’s Kindle as a reader on iOS 7 platform is a joy. The free app allows you to view downloaded books in your library, read in a decent sized text format, and not be bothered by excessive animations or annoying page flips. Another couple of standouts that are a beautiful breeze to use on the new OS are Facebook and Twitter, and rightly so, as these free apps are the most widely used on the market. Both designed in shades of blue and semi-transparent bars that blend right in with iOS 7, Facebook and Twitter run speedily on the A7 processor. Both programs put your most used buttons within a finger’s reach, so that messages, notifications, friend requests, status updates and settings are all easy to access. For audiophiles, the new version of Shazam purports to identify music in as little as one second from a short clip of the song. Users of the app have the option to buy music from iTunes, post to Facebook and mention friends or places, and remember music they previously recognized, so that you’ll never let a mystery song pass by you unnoticed again. More outstanding apps that came to iOS 7 with a new interface, better and brighter features and deeper capabilities to organize your life, help you find information or entertain you during dull moments are available through the app store. Or check here for some pointers and reviews from the Digital Spy.